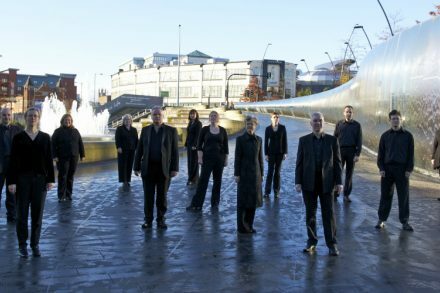 As one of Sheffield's finest and most versatile chamber choirs, Viva Voce is critically acclaimed for its vibrant, imaginative and moving performances. The choir has built up an eclectic and challenging repertoire since its formation in 1997. The focus is on dynamic and nuanced chamber music-making to thrill, entertain and inform both new and established audiences. 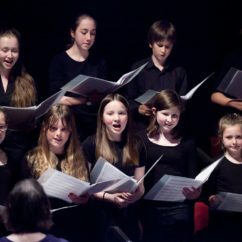 Viva Voce concerts offer unique and historically informed musical experiences, where gems of lesser-known choral music are championed and classics are revitalised with refreshed interpretations. As well as giving purely a cappella performances (such as the recent Pizzetti Requiem), the choir has combined with period instrumental ensembles (as in the Campra Requiem) and has ranged right through to the orchestral symphonic realm. Meanwhile repertoire spans all the way from the Medieval and Renaissance, to today’s international contemporary composers. Collaborations with other ensembles and directors always provide renewed inspiration for Viva Voce - recent highlights include Berlioz' Roméo et Juliette with Hallam Sinfonia under Natalia Luis-Bassa and Poulenc's Stabat Mater with Sheffield Symphony Orchestra, as well as Brahms' Ein Deutsches Requiem and Orff's Carmina Burana both with piano duet. Themed projects have captured the zeitgeists of commemorations, including the focal performance of Britten’s virtuosic A Boy Was Born as part of the Britten100 events, and the May 2016 ‘metaphysical’ concert – A Mosaic of the Air - celebrating Finzi’s 60th anniversary. Viva Voce enjoy creating bespoke programmes for particular events or venues, such as their Midsummer Mix evening at David Mellor Design, which drew upon Mellor’s rich combination of craftsmanship and sophisticated cutting edge creativity, and was performed in and around the factory. Other venues inspiring befitting choral performances have included National Trust properties, like the chapel and gardens of Clumber Park and Sheffield’s Millennium Gallery. 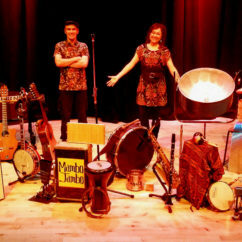 Charity fundraising is also important to the ensemble, most recently with proceeds from their Winter Wassailings going to Bluebell Wood Children’s Hospice and Chernobyl Children’s Life Line.